Our programs are designed with students of all ages and levels in mind. All our rental instruments are European made and of the highest quality, the same instruments we have in our sales inventory. Each instrument is expertly adjusted and in top playing condition. Additional adjustments are provided free of charge. Our ''rental-with-purchase option'' programs offers the option to apply the rental fee towards the purchase of any of our instruments in accordance with our sliding schedule. A 10% discount off the initial price will be applied if the rental instrument is purchased within the first 6 months of the rental period. We offer trade up from size to size at any time. Why rent the best? Simply put, you rent the best to make the most of the musical experience. Whether you are training a future virtuoso or providing the enrichment of the musical experience, the high quality of our instruments will enhance performance as well as practice. High quality European instruments are actually easier to play, not to mention easier on the ears! They will make practice more enjoyable and rewarding. How do I reserve or rent an instrument from Atelier? - Please fill out the Customer Information section of the Rental Agreement. - Check off the instrument and indicate the desired size, optional accessories and insurance option. - Fill in the credit card information and sign and date at the bottom of the sheet. We cannot provide you with the instrument without payment in advance and valid credit card information (the credit card needs to be valid through the entire rental period). - Keep the Rental Plan (Page One) and mail, email or fax the Agreement (Page Two) to us. - We will send you a copy of the executed agreement and a copy of the credit card charge slip before delivering the instrument to your school. - If your school does not have a delivery program with us, please call us and come and pick up your instrument at one of our stores. We can also ship the instrument to your home if you live too far away. Please call or email us with questions! We can be reached at (203) 661-9500 or rentalsatelier@gmail.com. 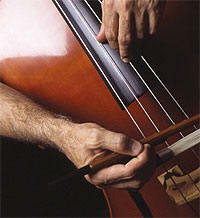 Why rent your stringed instrument from Atelier? For new contracts starting from August 15 - September 30. 4-Month Trial for first time players only. (Can be renewed after 4 months until end of school year). Pay for 10 months and get 2 months free. For first time and continuing players, who need a fractional sized instrument. Pay for 10 months and get 2 months free. For first time and continuing players, who need a full sized instrument. Rent for 12 months, or less by special arrangement. For advanced/professional players. Please click below to view our different rental programs, fees and agreements as PDF files. August 15 - October 15 for the first 4 months.